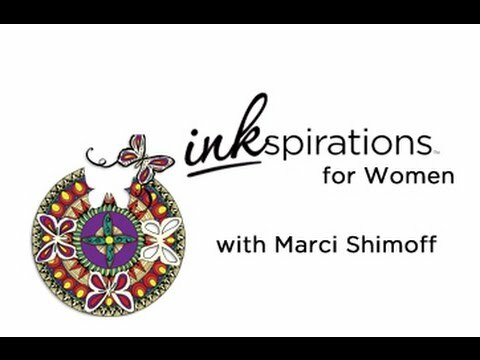 Co-Author of "Chicken Soup for the Woman's Soul"
Marci Shimoff is one of the nation’s leading motivational experts, spreading an illuminating message about the infinite possibilities that life holds. She is co-author of five #1 New York Times best-selling books including Chicken Soup for the Woman's Soul 1 & 2, Chicken Soup for the Mother's Soul 1 & 2, and Chicken Soup for the Single's Soul. Her books have sold over 13 million copies and have been at the top of every bestseller list in America. 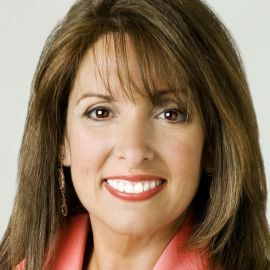 Marci has been named by USA Today as the top female author of the year.President and co-founder of the Esteem Group, Marci is a professional speaker who has inspired thousands of people around the world with her message of personal and professional transformation. Over the last 18 years she has delivered seminars and keynote addresses on self-esteem, stress management, communication skills and peak performance to numerous corporations, professional and charitable organizations, and women’s associations. She has been a top-rated trainer for such industry giants as AT&T, General Motors, Sears, Amoco, and Bristol-Myers Squibb. From the stage, Marci presents moving, real-life stories from the Chicken Soup for the Soul books that reveal powerful and profound messages. Known for her lively sense of humor and dynamic delivery, she transforms the hearts of all who hear her. Specializing in the unique struggles and opportunities that women face in a new millennium, Marci addresses issues of self-esteem and empowerment, sharing powerful techniques for how to overcome challenges and persevere in the face of adversity. Marci combines her energetic style with a strong knowledge base. She earned her MBA from UCLA; she also studied for one year in the U.S. and Europe to earn an advanced certificate as a stress management consultant. She co-authored a highly acclaimed study of the 50 top businesswomen in America and is a member of the National Council for Self-Esteem (NCSE) and the National Speakers Association (NSA). For years, Marci has been delivering keynote addresses based on the Chicken Soup for the Soul message. Marci’s presentations have touched the hearts and rekindled the spirits of millions of people throughout the world. Marci is currently leading a one-year mentoring program called Your Year of Miracles. Her opening seminar has been heard by more than 70,000 people. Having things and circumstances - money, success, relationships, health - brings a certain kind of happiness, but this temporary experience of satisfaction or joy soon fades and we have to hurry up and fulfill the next desire to feel happy again. To experience true and lasting happiness, we can learn to access the deep state of peace and well-being that already exists within us—beyond the reach of external circumstances. Then, no matter what is happening in life we are Happy for No Reason. In this powerful presentation you will hear moving, real-life stories of people who are Happy for No Reason, as well as the latest scientific findings about how to raise your happiness set point . This program will inspire and motivate you to create a life that is full of genuine happiness every day. Whatever we think, feel and put our energy into, whether positive or negative, we magnetize to us. This is the Law of Attraction, and we see it at work in our lives every day. Based on the best selling movie, The Secret, this life-changing presentation shares insights and strategies for working with the Law of Attraction more fully in your life. Designed to give you practical tools to understand how and what you are magnetizing, this program inspires and motivates you to transform your unconscious habits into conscious actions that will create the life of your dreams. In this powerful presentation you will hear moving, real-life stories that reveal simple truths and profound messages we've all learned—yet sometimes forget. Based on the best-selling book series, Chicken Soup for the Soul, this program will inspire and motivate you—and show you what is possible in your life. This universally uplifting talk has inspired tens of thousands of people around the world. In this powerful presentation you will hear moving, real-life stories that reveal simple truths and profound messages we've all learned—yet sometimes forget. Based on the best-selling Chicken Soup for the Soul books, this presentation will inspire and motivate you—and show you what is possible in your life. Specifically geared towards a women's audience, this talk will share include the most remarkable stories from Chicken Soup for the Woman's Soul. This universally uplifting talk has inspired tens of thousands of women around the world. Two-thirds of all adults in America suffer from low self-esteem. During this presentation, we'll look at why low self-esteem has become a national epidemic, and how it affects our personal fulfillment, our family harmony and our job performance. We'll also outline powerful steps to develop greater self-esteem and increase effectiveness in all areas of your life. On Thursday, Oct. 6, Marci Shimoff, the woman's face of the self-help book series "Chicken Soup for the Soul," gave five ways to live happier during the 9th Annual Healthy Woman Anniversary Celebration.